A great addition to your beach kit, with UPF 50+ sun protection. 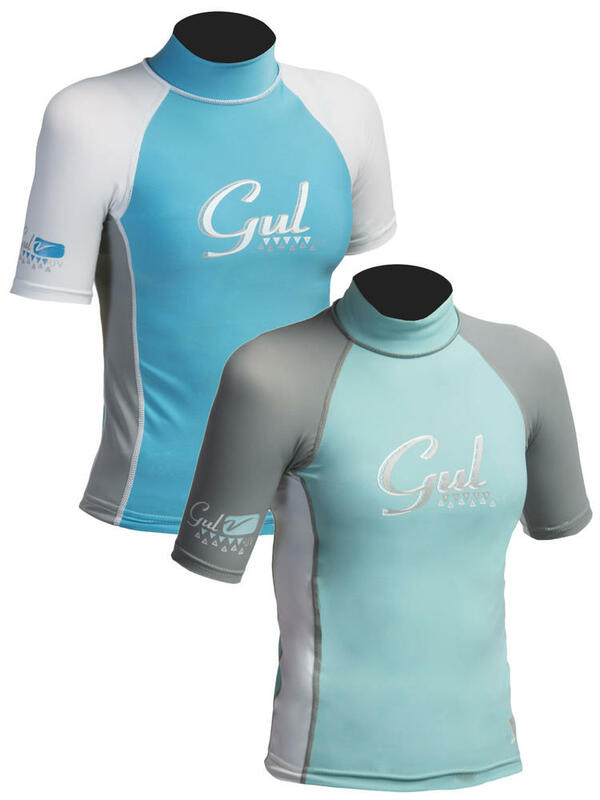 Wear with shorts for sun protection or under a wetsuit as an extra layer. Available in a range of sizes, see below for size guide. An ideal UV shield giving you UPV 50+ sun protection. Constructed using overlock seam construction and made from 92% Nylon, 8% Spandex fabric allowing total flexibility and freedom of movement. Rash Vests are designed to keep you warm and comfortable in the winter under a wetsuit and protect you from the harmful effects of strong sunlight in the summer if you just wear with a pair of shorts. If looked after you can get a long life from your rash vest, always rinse your rash vest after use in clean water using a mild detergent if necessary. Please don't use any solvents or other chemicals to remove stains or marks from your rash vest as this can cause damage.